Do you ever find that you are in need of some encouragement? A shot in the arm to keep you going when things get difficult in life and business? 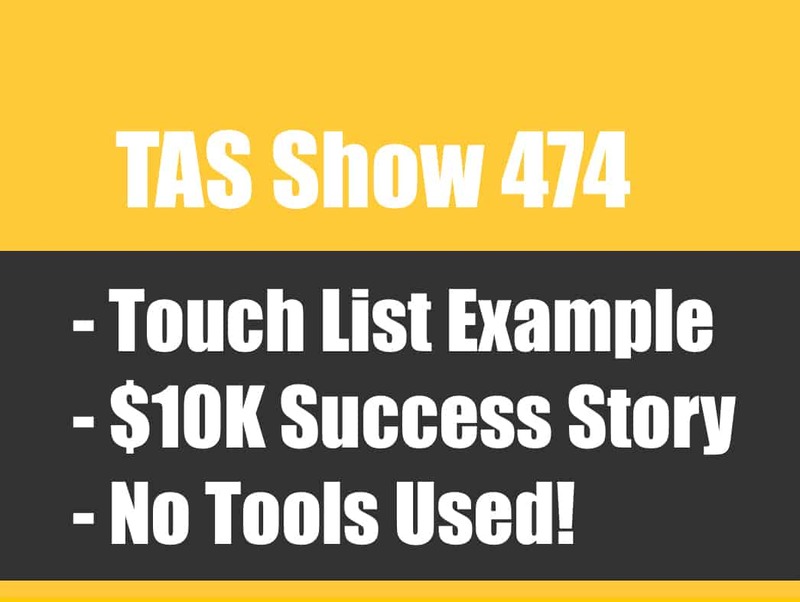 On this episode of The Amazing Seller, you’ll hear from a TAS listener just like you! Joseph talks about how he started listening to Scott and began to put these tools and concepts into action. Now he’s starting to see some success in his business and YOU can too! Also on this episode, Scott covers driving traffic to your product listing, premium over generic product quality, insert cards, and much more! In your pursuit of success, you’ve got to get started somewhere. What is the one step you can take today that will cause a “Ripple Effect” over time? Even the smallest step can be added to little by little to amount to great success in the long run. On this episode of The Amazing Seller, Scott talks about the ripple effect and how he’s seen it work in his life and the lives of TAS followers just like you! As always this episode is packed full of great lessons and insights that you can’t miss! Drive more traffic to your product listing! 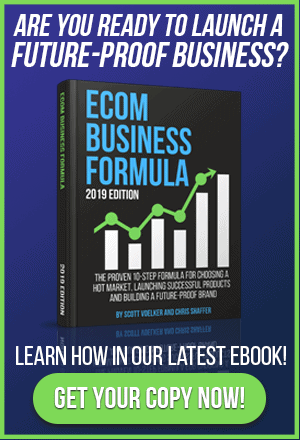 Have you struggled with gaining traction attracting the volume of traffic to your Amazon product listing that you’ve been for? What steps can you take to optimize your listing and adjust your methods to increase traffic? As you know by now, increased traffic usually leads to increased revenue. On this episode of The Amazing Seller, you’ll hear Scott go over a few strategies you can enlist to improve your PPC efforts, optimize your listing, and get the results you need. 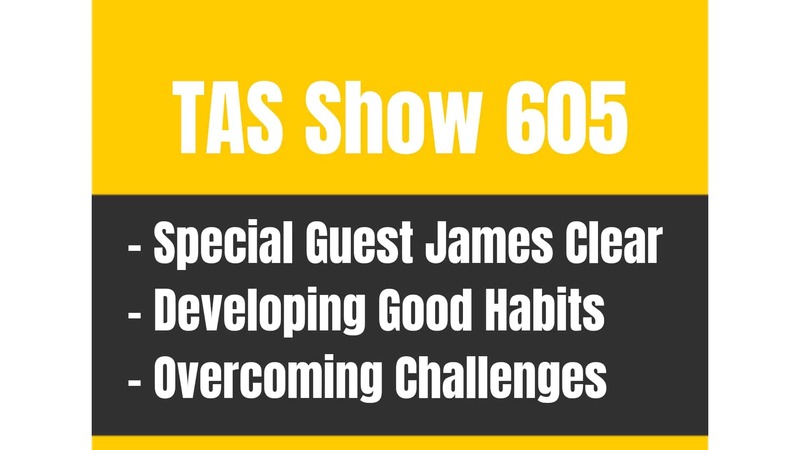 Make sure to catch this insightful episode – you don’t want to miss it! Go Premium or Generic with product quality? As an e-commerce seller, you know that one of the most important things you can do in your business is to increase your profit margin. But one of the dangers of focusing so closely on a large profit margin is that it can lead you to skimp on the quality of your product. Many sellers will say that they can produce a similar product for lower cost but you have to remember that public perception is KEY. The customer is comparing your product to the quality standard of your competitors. This is a very important subject to consider when you are going through product research. If you’d like to hear more details about this topic, make sure to catch this episode of The Amazing Seller! Should you include “Insert Cards” with your product? One of the best ways to stand out from the rest of the competition is to include an insert card with your shipped Amazon product. These insert cards can perform an array of beneficial services for you as the seller. They can point buyers to your website for more helpful product information, they can include details about best practices with the purchased product, they could even include discounts on the customer’s next order. But the question for many Amazon sellers remains, is it OK with Amazon to include an insert card with the shipped product? On this episode of the Amazing Seller, Scott explains how this subject sits in a gray area regarding Amazon’s TOS. He also goes through some helpful options for sellers like you to consider before you take the step to include insert cards. Don’t’ miss this helpful episode! [5:00] A word of encouragement from a TAS listener like you! [11:00] Question #1: How can I drive more traffic to my listing? [21:00] Question #2: How do I address returns and buyers disappointment? [28:00] Question #3: What is Amazon’s policy regarding insert cards? [00:00:02] Scott: Well hey, hey. What’s up everyone? Welcome back to another episode of The Amazing Seller Podcast. 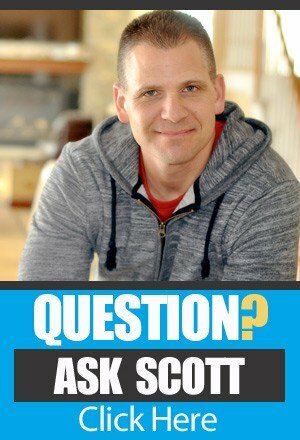 This is episode number 355 and session number 109 of Ask Scott. This is where I answer your questions here on the podcast and I do it every single Friday and today is one of those Fridays or if you’re listening to this on Monday, well it’s another Monday for you. But it’s recorded on Friday so these are the Ask Scott sessions that I do on Friday. Really excited that you’re here. I’m super pumped. I’ve got a lot of things to share with you…. …Today we’re going to be talking traffic to our products. Not just on Amazon, but how do we get more traffic. Traffic meaning, visitors, eyeballs, how do we make that happen? We’re going to talk about that. We’re going to talk about reducing returns and some of the issues that could be happening when you’re getting returns and why and how to prevent that. And the also using insert cards and about some you know, TOS rules. We always have to talk about that when we talk about insert cards. So we are going to talk about all those different things. Those are some questions that came in that we’re going to answer. But I want to remind you. If you want to ask your own question, head over to theamazingseller.com/ask and do that. Just ask a question, just leave your first name, where you’re tuning in from and a brief question and I would love to answer it here on an upcoming podcast. Now this episode is 355. That means that the show notes and the transcripts can all be found at theamazingseller.com/355. So that’s theamazingseller.com/355. Now before we jump in, you guys always know I like to kind of give you guys my thoughts of the week or the day or whatever just random thoughts of what I’m kind of going through or what I’m hearing from you guys and that’s what I want to do here. I also wanted to remind you guys and let you guys know that I’m super excited about an upcoming unofficial meet up and I say unofficial, what does that mean? It basically just means that it’s a place where we’re going to meet up. There’s nothing structured. There’s no like you know, set rules or anything like that. [00:02:03] Scott: It’s not going to be like a workshop, where we’re going to be working on things. It’s a meet and greet. It’s kind of like where we get to hang out, we get to meet, we get to talk a little bit of business you get to meet other TASers, other FBA sellers and all of that stuff and we try to do those in different cities when we’re going to be in town. So this one here is going to North Carolina. And this one here a lot of people said, “Scott why don’t you just have one on North Carolina, you’re not far from there.” And I said you know what, you’re right. I probably should and I also had a bunch of requests for people that wanted us to do another TAS Live Event and we decided to do a workshop. So we’re also going to do a workshop just outside of Charlotte and that there, all of that information can be found at theamazingseller.com/live and you can get all the details on the unofficial meet up and on the official, the workshop. We’re going to actually do a one day workshop on that Saturday where we’re going to have 15 people in a room and we’re going to be talking all about external traffic but then also how to build your own launch list, so this way here you can launch your products easier and you can also boost sales and you can do a lot of really cool things once you have that asset. And that’s what we’re going to be teaching on Saturday. But the unofficial meetup is going to be on that Friday and all the details like I said will be on that page, theamazingseller.com/live. What I want to do here really quickly before we jump into the first question is I wanted to play a little recording, a little snippet from one of our unofficial meetups and I wanted to share with you Joseph Wang and Joseph if you’re listening I want to say I enjoyed our time together. We talked for, probably about 20 to 30 minutes and he was there probably for two or three hours talking to a whole bunch of other people. He’s got a ton of energy. He’s also a bodybuilder. He’s a small guy if you look at him at the surface but the guy is ripped like crazy. So Joseph I’m sure we’re going to talk a little bit about that at the next meet up. And I know that you’re going to be here in North Carolina at that next meetup. So I’m going to really enjoy hanging out with you for a full day talking about external traffic and all that stuff too. [00:04:05] Scott: But just a great guy. But I wanted to really highlight him because he really had some good things to say on this recording. And this recording just came because what we do is, we carry around a little mic and we ask people how they heard of the podcast and what they’re doing currently right now in their business and what they’re looking to do in the future and all those things and a common thread was really not just with Joseph but with a lot of people was motivation. Like Scott gives me a lot of motivation to keep going and that’s awesome. But I also want you to hear that it’s not just about the motivation, it’s about the people you surround yourself with. And I’m not going to kind of spoil it here but Joseph gives some really good advice and some words of wisdom just for himself that he was kind of reminding himself but also to other people that are listening. So I want you to listen to this. I want you to really let it sink in because it’s so important that we need the right motivation not just motivation and we also need to be inspired and motivated by the people that we’re surrounded with and it’s really, really important that you understand that in any business or in anything in life that you’re trying to achieve. So listen to this really quick snippet with Joseph. I think you’re going to get a lot out of it and then we’ll go ahead and we will dive into the vast question of today. [00:05:21] Interviewer: So what’s your name and where are you from? [00:05:24] Joseph: I’m Joseph Wang and I’m from Dallas Texas. [00:05:25] Interviewer: Do you remember hearing Scott for the first time or how you heard of him? [00:05:32] Joseph: Yeah, so it’s not super clear but I remember I started Amazon with wholesaling and then I think just through the community of Amazon sellers I heard of Scott and that got me into private label. [00:05:43] Interviewer: Okay, so you started listening to Scott, how long ago was that? [00:05:46] Joseph: I don’t remember. Maybe may of 2016. [00:05:49] Interviewer: Okay, so less than a year? [00:05:54] Interviewer: Have you gotten started? Has it made an impact? What difference has listening to Scott made for you? [00:06:00] Joseph: The biggest thing that I love about Scott’s podcast is specifically I think in life you’ve got to have the right influencers and the people who are continuing to give you like the motivation and the influence that you’re going to need. If you’re hanging around drug addicts, you’re going to be a drug addict. And so I think the biggest takeaway for me from his podcast was having that influence and that constant reminder of like, hey this is what I’m working towards and so I actually started my brand in August and that’s how I got started like growing. [00:06:33] Interviewer: So you know you just a couple months started your brand. How are you doing? Good? [00:06:38] Joseph: I’m doing about $2,000 a month for profit wise. [00:06:42] Interviewer: So are you working another job right now or doing the Amazon? [00:06:46] Joseph: I work full time as a financial analyst. [00:06:51] Interviewer: So is that something that you want to continue? You want to do both of them and just have Amazon as a side income or is it going to replace your income? What’s your goal on the end here? [00:07:00] Joseph: I am totally an entrepreneur. There’s huger goals past financial freedom in terms of like trying to build a university in the future that teaches like health, wealth, love and happiness and kind of like ties things. I’m a body builder as well and just I think relationships and stuff like that isn’t taught as a life skill and I think that’s so stupid that it’s missed out in life. [00:07:23] Interviewer: It’s also like that you would be willing to go in there and try to help people with that because that’s a big thing like Scott helps people to make money. You’ll help people and Scott also helps people to be motivated like you said. If you look into help them have the right relationship. That’s a powerful skill. [00:08:00] Interviewer: So potentially Scott coming into your life might make you go into a bunch of other people’s lives and make a difference for them? [00:08:10] Scott: Okay, so I just wanted to share that with you, just to number one, let you see kind of the people that hang out with us at these unofficial meetups. I mean they’re totally free for you to attend these when we do these in these cities that we’re either attending an event or a meeting or whatever. And you get to meet people like Joseph and I just really wanted to highlight him because he said some really important things and I want to highlight them one more time and that is you know motivation is great and all. I don’t like to be just the motivational guy. It’s more about the motivation to take the action and then once you take the action you get some type of result but then when you start to feel like I don’t want to keep going because things are starting to get a little bit tougher, then yes you can get remotivated. I think that’s the key.I can get you all pumped up and excited and then get you started but then if you don’t actually get started and then get the result that you want or after you start you get a result that you want or you see some results then it’s going to get you deflated. And I think him saying like you need to surround yourself with like-minded people and he did say this and I wanted to highlight this, he’s like if you’re hanging around with drug addicts, you’re probably going to be a drug addict or if you’re going to be, if you’re hanging around with really good athletes, you’re probably going to be a good athlete or you’re at least going to strive to be one. So really try to understand that. You are probably going to be a lot like the people you hang around and there’s that one saying that everyone kind of refers back to you’re the average of the five people that you hang around with the most like the five people. So maybe think about that and I’ve said that before but I’m going to say it again it’s really, really important that you do that. But again, I just wanted to kind of highlight this and again also talk a little bit about like the ripple effect. What does that mean? Well you can see, you know joseph has bigger plans than just selling something on Amazon and the Amazon thing is really the vehicle that’s going to hopefully allow him to do that. And again a lot of people look at these big numbers. Well this guy is doing $500,000 a month or a million dollars a month. He’s doing $2,000 profit a month and that’s a great start. [00:10:09] Scott: And I just want also let you guys know that I’m not going to be the guy that’s just going to show you all those big numbers. Because for a lot of people, $2,000 a month is a great side revenue or one that they can build upon. So don’t always get I guess blown away with all these big numbers because you know what, you gotta start somewhere and Joseph is on his way and I’m really excited to hang out with him at our live unofficial meet up but also our full day workshop. He’s one of the 15 that’s going to be in that room the day that we do our live workshop which we’re going to be building an external launch list and an email list and we’re going to talk about like how to leverage that and all of that fun stuff. So again guys, if you’re interested in hanging out with us at one of our live meetups or any of our live events, head over to theamazingseller.com/live. Alright guys, let’s go ahead and dig into today’s first question and I’ll give you my answer. [00:11:04] Listener: Hey Scott, actually so I’ve been running my Amazon business now for the past six months now and I’ve got about two FBA products. I’ve got a conversion around 20% conversion at the moment. Only issue is I’m a UK seller, only issue is traffic. I’m not getting enough traffic. So on average before I started and I was up to about 30 per day sessions but I’ve run out of stock for the past two months and I was back down to around 10 to 15 sessions. So I just want to know from your point of view, how can I drive more traffic to my listing? Obviously ranking is a big thing to it that will increase traffic but what external sort of like strategies or social media or wherever that you can advise me to basically increase my traffic. Thank you very much. [00:11:56] Scott: Okay, so you guys know I love these types of questions. This is where I get to really dig in and I love to talk about this. And I want to thank you for this question. I don’t have your first name or else I’d call you out by first name and again let me just remind you guys. If you’re submitting a question please leave your first name, so this way here I could shake your hand virtually and say thank you to you personally. That’s what I would like to do. But anyway, I know that you’re from the UK obviously you could tell by the accent but you did say that. So I’m assuming you’re selling in the UK marketplace but even if you’re not this is all going to go hand in hand. Although in some of those other International marketplaces, the traffic is less in most cases but doesn’t mean it’s always going to be that way. I mean there’s a lot of marketplace that are starting to get some momentum. But right now you know in the states .com is going to be one of the most traffic you’re going to get out there. But we’re talking about like okay so you want to get ranked because that’s going to get you more eyeballs, we all know that. That’s what we want to do. So you know, you would say well let’s just go ahead and maybe ramp up some pay-per-click. That would be first the thing. Are you using pay-per-click? Well you might say, well there’s not really a ton of traffic using pay-per-click because there’s not as many people on the platform. I would argue with that. I would say if you’ve done your product research correctly and your number is, I want to get 100 sessions a day and I’m only getting 20. Then we’ve got room to grow. So I think we got to know that mark. We got to know that number. So if that number like I said is 100 sessions a day and that’s what you know, let’s say sales. Let’s say for example you’re shooting for 10 sales a day then you got to look at the top 10 listings that are coming up for your keywords and you got to see what their volume is. Does that make up 3,000 over the course of 10 listings or of the 10 sellers? Is there 3,000 units being moved, being sold? That’s the first question. [00:13:56] Scott: After that it’s like okay yes there is. That means there’s got to be enough traffic there to get 3,000 sales or 10 sales a day. So if that’s the case, how do I get in front of them? Well I have to get in the top 10 somewhere. Okay? How do I do that? So these are all of the questions we’re asking ourselves. So it doesn’t really matter how you get the sale because that’s ultimately what’s going to help you rank and help you get more eyeballs and more sessions. So how do we get more sales? Well the first thing is pay-per-click. That’s the very first thing. If you’re not leveraging pay-per-click sponsored product ads you need to do that. So I’m going to get, I’m going to throw that link out there again, it’s theamazingseller.com/ppc, totally free resource for you, totally free and we actually went through exactly how to set up campaigns and what to look for and how to trim through some of the keywords that aren’t performing, the ones that are performing and all of that stuff. So it’ll give you a good foundation on what to do for that. You also mentioned that you ran out of inventory for two months I think which is a long time. So to get back up and running again it’s going to be a little bit harder. Now, the one thing I would have to ask you which I can’t because we’re not sitting across the table from each other but if I was there in person with you or I had you on the phone, this is the question I would ask you. I would say, what was your conversion and what was your sessions before you ran out of stock? Now again this can change. If you’re a seasonal product and you’re in the summer and you ran out of stock there and then you relaunch in January and your product isn’t selling well in January, it’s probably just because it’s seasonality. But if your sessions were 50 and now they’re only 10, then we got to get you back to 50. So how do we get you back to 50? Well we have to look back and look at your sponsored product ads and your pay-per-click and say can we just turn them back on? Did you raise your price to try to slow yourself from running out of inventory and if you did you probably decreased your conversion rate and now that will hurt you when you go to launch again. So then we have to start to get that velocity again, that momentum. [00:15:59] Scott: Now, that’s all internal stuff. We got to make sure our listing is optimized, make sure that your title is optimized, make sure your pictures are optimized, your bullets, your description, your back end keywords like all of that stuff, you got to go through all of that stuff making sure that it’s there. You guys can hear, like there’s a lot of different things that we need to reverse engineer to kind of see where there could be a spot where we can tweak. Where is there a spot that we can then focus on? Because there could be other things that are already in place that you don’t have to focus on but you have to focus on the sale element. We have to focus on getting the sales because we know if we get sales then we’re probably going to rank. Now let’s talk a little bit about externally. If we want to really ramp this thing up and have more of our own control, whether we run out of inventory or not or we just want to do a boost, we need an email list. Plain and simple. You guys have heard me talk about this and I’m going to keep talking about it because it’s that important and it’s an asset. I actually talked about it on the beginning of this episode. We’re going to be doing a full live in person workshop with 15 people building their sequence, their launch list, everything is going to be done for them or with them inside of this one day workshop. But to kind of give you guys a breakdown of this and we’re also going to do more of an overview of it on a workshop that we’re going to be doing online. And depending on when you’re listening to this, you’ll probably be able to get access to that and that’s going to be found at theamazingseller.com/buildlist. So that’ll be updated with the workshop once we do that. We’re going to do an online workshop as well that will hopefully help you through this process and give you kind of what we’ve done and what we’re doing and what we’re helping people to do. So the big thing though to think about and this is like an overview of what it looks like. You need to get attention for products in your market that are similar to your products or your product. [00:17:49] Scott: A lot of people make the mistake and they just want to take a Facebook ad and drive it right to their Amazon listing and that’s bad in my eyes because we’re driving a ton of traffic and then if only 5% convert it takes your conversion rate and drops it down because Amazon sees it as a session they don’t see where it necessarily came from. They just see as someone landed on your page. So what we want to do is we want to control that. So one little filter that we can apply there and we can start to build an email list is to add a landing page to that. So if we have a Facebook ad and we’re going to give a 50% off discount, well all we have to do then is say, hey to receive your 50 percent off discount code just enter your name and email address and we’ll send it to you. That’s it. It’s that simple. So you’re basically just taking a Facebook ad, you’re finding your audience, your target audience which is very easy to do on Facebook nowadays. You just go to a Facebook fan page that’s related to your market or look at Facebook groups or just different interests that are in your market and then just target those groups. And you could do all kinds of demographic stuff and all of that stuff. But then what you want to do is drive them to the landing page that gives them the 50% off discount and then in exchange for the code, they’re going to give you the email address. And then from there immediately you can boost your sales. Now, I’ve found and I like doing it this way, is I like to create a little bit more buzz and a thing where it’s more shareable. A bigger bundle in a sense and you might not have all the products to make the bundle. So what I like to do is take products that are in your market that people would definitely want when they buy your product or if they buy your product and then from there you could always upsell them later on that or you can even include that in part of the of the of the prize. So just imagine again, and I’ve used this example a lot, if you are selling a tackle box well you can find the top fishing pole and then a fishing net and a fishing vest and your tackle box put it into one package and then have people answer to win that and then do that for 30 days. [00:19:55] Scott: And then on the back end of that, the people that don’t win, there’s going to… Let’s say you get 1,000 people to enter their email address, those 1,000 people there’s one person that wins, there’s 999 that didn’t, you can offer those people a 50% off discount on the back end if you want. And then instantly you’re going to be able to start boosting your sales. You can do a flash sale with that email list, hey guy’s you know we’re going to offer 25% off this weekend only so be ready and then you send that out on Wednesday and then Friday is this flash sale and then you have a flash sale. All you do is lower, maybe you just lower your price for those two days, you know, you have a coupon code. You just lower the price by 25% and then you say here you go and then they go directly to Amazon and buy it through your email list. So that’s what I would do. Just some ideas for you. Hopefully this has helped you. I can go on talking about this for hours, which I’m going to be doing by the way in North Carolina, in June, so I’m super excited about that. I’m actually going to be getting hands on and building it with people, which I love doing as well. So anyway hopefully that helps. Keep me posted. Let me know how that works for you and let’s go ahead and listen to the next question and I’ll give you my answer. [00:21:02] Bret: Hey Scott, it’s Brett from Arizona. I love your podcast. Been listening to it for about six months now ever since I kind of found out about the Amazon thing as far as selling goes and pretty cool. Very useful stuff and inspirational and helpful and keeping us going along the way from finding our first product and getting it live on Amazon. We finally did the first one. We kind of went big. We picked a fairly competitive area and also ordered about 2,600 units I think from China and did the whole sea freight thing, all of that and all went pretty well. Had really good luck with planning our pro forma up front. We had a really good pro forma that we used to make sure that all our costs were in there and we wouldn’t be surprised and we really weren’t. The only thing we’re running into now is we are getting a couple returns. We’ve had some pretty good traction through pay-per-click. We’re getting some good organic sales but we’ve had a few returns now or at least one return and one request possibly for a return, asking basically why our product isn’t as high end as they thought it would be and we thought that we’ve done a good job in saying that this is a value product. There are higher end products but they also cost a lot more than our product. We thought we’ve done a decent job at that but apparently we’re not getting that across in our listing. [00:22:36] Bret: I know that quality products are typically preferred and ours is a good product, it’s just not nearly as good as some of the more expensive competitors which is why we’re priced so much less. So wondering if you have any experience on how to get that point across better on Amazon without just coming out and saying these are cheaper and less good than the other ones. But they’re still a great product. I’m not sure how we would say that. If you have any ideas, would love to hear it. Thank you. [00:23:09] Scott: Hey Brett, thank you so much for the question and Arizona, it’s a nice area. I was there recently at one of our TAS Breakthrough Live events in Phoenix. Love it there. My good buddy, Jim Krill lives there. Grew up with Jim for years. Played Little League together and all that stuff. So yeah I visited there a few times, beautiful, beautiful state. So okay, let’s dive into this. Now it sounds like you’ve taken a product and you’ve actually went the other way with it. And what I’m seeing here, I’m hearing here is that you took a product that is usually more expensive and then you made a more generic version that people can buy. This is a little dangerous to be honest with you because people are expecting higher quality and then you’re giving them like an off brand. And I know myself personally being in the photography business, like I’ve done this. I’ve bought these little, there’s like these little receivers that connect your camera wirelessly and it’s basically you plug it into the shoe on top and if you guys don’t know about photography you’d probably don’t know what I’m talking about. You don’t need to. Just understand there’s like a component that you buy that slips into the top of your camera that then communicates and speaks to your external lights. I bought one off of at eBay I think and it was like 25 bucks but the good, the more expensive brand was like 100 bucks. And I said, you know what, I’ll just try it and I got it and it was a piece of junk and I sent it back. And I’m not saying yours as a piece of junk. But what I’m saying is people are going to hold you up to the expectations of the more expensive item. So my thoughts are here, make your product as good as the more expensive ones. So wherever you’re falling short, you need to fix that and that might not be what you want to hear but that’s what I’m going to tell you. Because in the end if you can have a better product and then sell it for a little bit less, that’s great for you because now people are still getting you know they’re getting the same deal as if they were to spend 100 bucks, they’re getting it for 75. [00:25:17] Scott: I still I wouldn’t want to be that much lower either because why? Like you can make more profit by charging more and if your competitors are charging more and you’re going to split that cost in half and I don’t know what your cost is how much cheaper it is. But if you’re doing that, you’re leaving a lot of money on the table and then also people they perceive it to be not as good if it’s too cheap. Some people they hurt themselves by pricing yourself so cheap because they think people are all going by or you know they’re all going to be basing their decision on the price and that’s not always the case. I ended up spending a $100 on the better one after I spent $25 on a piece of crap. So you got to look and see what are people saying that are getting the returns or that are requesting the returns, what are they saying, really listen to that and then from there try to address that. Now if you want to make it even more clear for them like let’s say that yours is made with a lighter material than you know the better brand, you might need to make that very clear that, I mean you’re not going to say, “Well ours is less quality than you know the best one that’s being sold out there.” But you could just put all of that stuff and you may already be doing this, but these are just things that I’m thinking out loud about, is I would want to make sure that I was clear that everything that they’re getting, the dimensions, the size, the weight whatever it is, I want them to know that it’s that. I don’t want it to be hidden in the fine print, if that makes sense. I want it to be right out there in the open to try to reduce that. Now doesn’t sound like you got a ton of refunds, but you did get some. So I would, again I would focus on trying to make that product as good as the one that is selling for more, that is technically better quality. I would try to make yours as good or a very close second and maybe you’re already doing that. But again you asked about how to kind of reduce these refunds or the expectations, those are a few ideas of what I would do. [00:27:15] Scott: And anyone else out there, that’s thinking about making a product that’s less expensive than a more expensive product out there to try to say like we’ll look at you can get this product over here cheaper, you got to make sure that it’s not technically cheaper. You don’t want them to get it because to get that product and then have the things fall apart in two days, because that’s going to be bad for you. So really got to think about that. If anything, I’d like to go the other way. Take a product that’s selling for 20 bucks and if you can make yours better sell it for 30, that’s how you can really get yourself to kind of stand above everyone else and not have to worry about competing on price because eventually people are going to buy yours after they’ve tried the other one and it’s broke after two days of using it. So just some food for thought there. Alright, so let’s go ahead and listen to one more question and I’ll give you my answer and we’ll wrap this up and you guys can get on with your Friday. What do you say? Let’s do it. [00:28:10] Keith: Hey Scott, how are you? I love the show. My name is Keith and I had a question about insert cards. I’m currently selling products using Amazon FBA. And I was wondering if it against Amazon’s TOS to include an insert card into my packaging. So customers receive my product, they open it up, placed an insert card and that insert card simply asked the customer to sign up to a newsletter to get more information about my products, best ways to use it and any new product coming out in the future. You can shed some light on to how to best use insert cards and if they’re approved by Amazon that would be great. Once again love the show, thanks, bye. [00:28:54] Scott: Hey Keith, thank you so much for the question and it’s a great question and it does kind of lead itself back to like building that external email list and that’s kind of what you’re doing, which I applaud you for that. The one thing I will say here and again you asked the question of like, okay is it against terms of service to put an insert card in there? And I personally don’t know to be honest with you. It’s not clear. Nothing is clear in there as far as it doesn’t… I’ll tell you this, it doesn’t say you cannot use an insert card in your packaging to further educate your customer. Like no it does not say that in there, at least the time of recording of this episode it does not say that. But they do word things that, they do not want you to drive people to an external website and they do not want you to try to market your products to them but more or less during a transaction, like there’s all of these little grey areas that I don’t even think they have it clear and I think they do that for a reason to be honest with you. Because this way here if someone complains they have a little loophole there they can go ahead and shut you down if they want to. So you have to be careful. Here’s my thoughts always and again this is just my thoughts and my opinion and the way that I kind of conduct business and anything that I do, is if you’re adding value and if you’re not collecting an email and spamming that customer and if you’re not directly selling to them in that insert, then I don’t know that it’s a problem. I don’t think it’s a problem. Like I think if anything, add value. And I’ve always said that, like how can you make your customer happier than when they first purchased their product? Like number one we want the product to be phenomenal. Number two we want them to be protected with their products, so if it’s registering for a warranty, I don’t see any problem with that. Businesses have been doing that for years. Most people will not fill out the warranty unless it’s like a major item. Like if it’s a $200 item, they might because they want to make sure that they are on record and that it’s documented that they bought the product. [00:30:58] Scott: You buy a product for 25 or 30 bucks, you’re probably not going to run over to your computer or your phone to enter your name and email address to register your product. So you have to think about like what are you going to give them. Are you going to give them more resources? Are you going to give them special exclusive deals in the future? Like, what are you going to do? What is the offer and I think as long as it’s benefiting the customer then I’m okay with it. But again, do this at your own risk. Anyone listening, this is a do at your own risk type of thing. I again don’t think there’s anything wrong with it. I think it’s smart to have an insert card in there, at least to even just further educate your customer. If you have a product that you know that people are struggling with to get set up or to use or you want to be able to show them other people’s results after using the item, then I think an insert card with signing up for VIP and exclusive resources and tips, I think it’s fine. Because now you’re further educating them, you’re making their buying experience better, they’re going to be a happier customer, they’re going to be a loyal customer and then you have the opportunity to do whatever you want once they’re on your email list. Alright? But if you directly got their email list and then directly tried to sell them something a day later on your website, I would be careful with that. I personally would not do that. I like this model. I like an insert card that says, “Hey get on our VIP list and our special resources or tutorials on how to use your new coloring pencils,” or whatever and then from there I send them immediately after they register some type of ‘how to’ or some type of cool little thing that was used by one of the past customers and we’re sharing that result with them. [00:32:56] Scott: Like something like that of value that definitely relates to the product they just bought. To make it better so they’re like they’re totally excited about this. And then we know that they’re into this market. Again if we’re into the fishing space, then maybe five days later it’s going to be a video on how to maybe put the bait on the hook to catch more bass. I don’t know, I’m making this stuff up. But you understand what I’m saying and maybe they bought hooks from you. Well if they bought hooks from you, they’re obviously going to be fishing and they’re obviously going to be wanting to catch bass because they bought a bass type hook, so now the next move for them would be I want to catch more bass. Well the video would be how to catch more bass by using this rare or you know this secret technique to I don’t know put the worm on the hook or whatever. So that would be something that you would do to lead people through the better experience moving through using your products. So anyway I kind of went on a little bit of a tangent there, a little bit of a rant, but it’s well deserved I believe because you want to direct people to a resource, not necessarily just to get them to buy more stuff. So if you can switch your mindset on that and then lead them back to a piece of content that helps them further with the product that they bought and then maybe you have additional products that are kind of wrapped inside of that content, that’s another story. But anyway, that’s what I would do. I’d be careful and as always, I always put the little disclaimer in there, you know be careful with this and use your own judgment and again this is just my opinion. I am not saying at all that Amazon is okay with it. I’m not saying that they’re not okay with it. It’s kind of that grey area. Alright? [00:34:42] Scott: So that’s it guys. That’s pretty much going to wrap up this episode of Ask Scott. I want to thank you guys. Again, everyone that’s submitting questions, keep doing it, keep submitting your questions. If you have not submitted a question, you can do it anytime. Just head over to theamazingseller.com/ask and that would be awesome. The other thing I want to remind you guys, if you guys have any personalized notes you want to send me, I’m talking in the mail, I want to put them up on my thank you board. I have a board in my office and you guys can check that out by heading over to theamazingseller.com/notes and you’ll see an address there that you can submit a letter if you want to, maybe a picture. I have someone that sent in a TAS Montreal. Ivelyne had actually sent this in. It’s up on my wall about I don’t know eight or ten people in that meet up and they’re holding up a sign. And yeah, so I want to be able to post your thank you letters or just a note, maybe telling me where you are in your journey and that would be awesome. So if you want to do that, head over to theamazingseller.com/notes. Alright guys, so that’s it. That’s going to wrap up this episode. Remember as always, I’m here for you, I believe in you and I’m rooting for you but you have to, you have to… Come on, say it with me, say it loud, say it proud, “Take action.” Have an awesome amazing day, weekend, whatever time of the day, whatever day it is during week, have an awesome amazing day and I’ll see you guys right back here on the next episode.